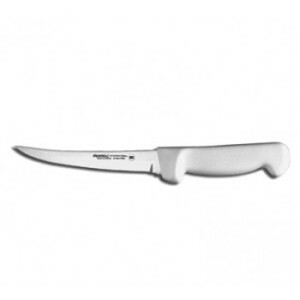 The Dexter Russell P94823 Basics 6″ Curved Narrow Boning Knife (31618) is for chefs who want Dexter quality at its most affordable. Offers performance and value for commercial use. Features a stain-free, high-carbon steel blade with durable, slip-resistant polypropylene handle.